Temporarily Losing Sisters to Gain 39 New Ones: The Life of a Gamma Chi | Grand Central Magazine | Your Campus. Your Story. 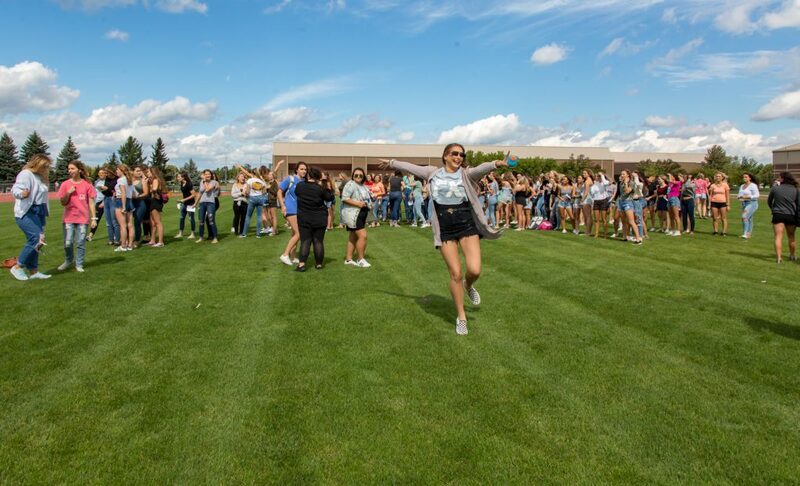 Senior Sarah Kalinowski dances as she and her fellow Gamma Chis will be leading the potential new members to jump to their chapters at the Lyle Bennett Outdoor Track and Field Complex at Central Michigan University on Sept. 21, 2018. Once a semester, potential new members (PNMs) go through sorority recruitment to try and get their bid from their prospective chapter. Many people see the surface level of these events through social media, an organization’s page and recruitment videos. PNMs and other spectators see the happiness, quirkiness and character of current sisters of each chapter— but for this system to do well, there’s always a group of people that have to lead the event from start to finish. They have a collective goal for the events to go as smoothly as possible. For recruitment, these leaders are called Gamma Chis. A Gamma Chi is a sorority member from a Panhellenic chapter that willfully disaffiliates from their letters to facilitate the ins-and-outs of recruitment. 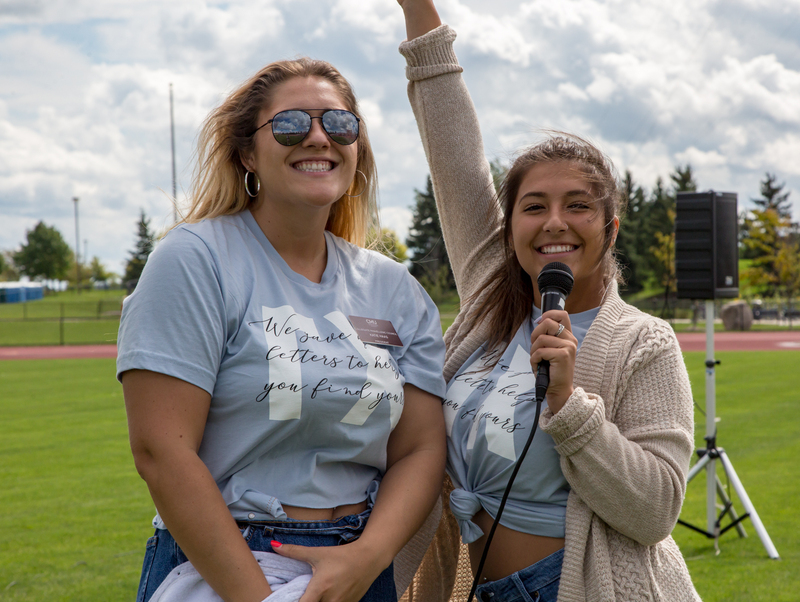 Senior Hannah Foy (right) holds on to senior Aubrie Clingaman as they and their fellow Gamma Chis get ready to lead the first potential new members to their jump to their chapters at the Lyle Bennett Outdoor Track and Field Complex in Central Michigan University on Sept. 21, 2018. Senior Josephine Krzesak was this year’s Vice President of Recruitment (VPR) for the Panhellenic Council. She said it was an eye opening experience to oversee the VPR’s of each chapter. Seniors Katie Haas (left) and Josephine Krzesak smile as they finish the final preparations for the last part of Bid Day at the Lyle Bennett Outdoor Track and Field Complex in Central Michigan University on Sept. 21, 2018. Throughout the process, Gamma Chis become neutral resources for the potential new members. They help facilitate meetings and talks as well as answer questions and give PNMs advice about recruitment. Senior Becca Kerry was a Gamma Chi recruitment councilor. She said she helped nine PNMs throughout the process. 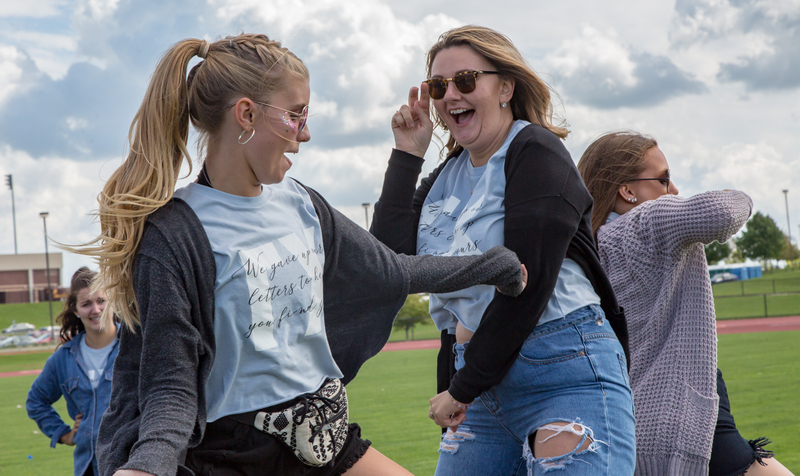 Senior Becca Kerry (left) dances with her fellow Gamma Chis as they celebrate their last moments together before jumping back to their respective chapters at the Lyle Bennett Outdoor Track and Field Complex in Central Michigan University on Sept. 21, 2018. Kerry said one of the hardest parts of the experience was knowing that a PNM in her group wouldn’t get their preferred chapter and that it could result with that person dropping out of the process. With such a big event, the Gamma Chis said they leaned on each other for support throughout their time together. 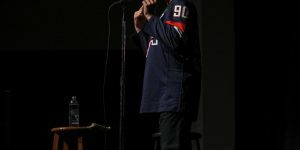 Krzesak said due to her position, she was able to make connections with members from other chapters, that she might not have been able to form without it. “Our paths would have never crossed, but because we were Gamma Chis, we were able to hang out every few times a week doing workshops. 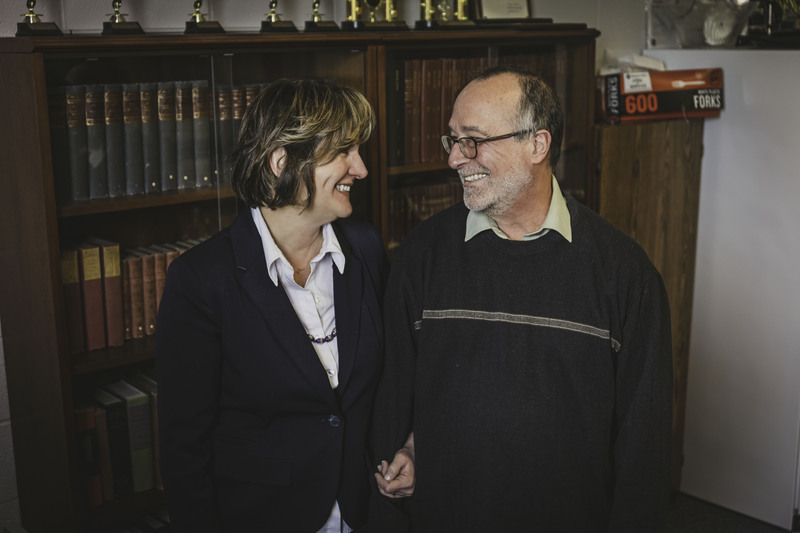 I made a lot of close bonds with them,” she said. 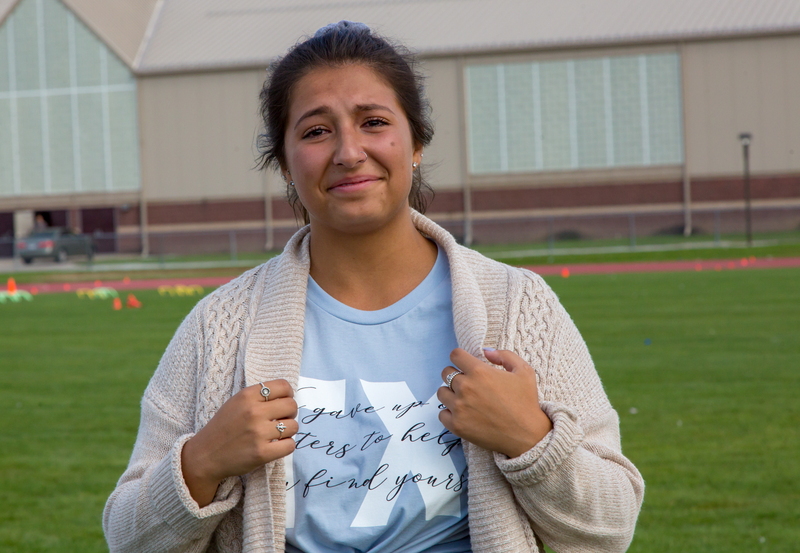 Senior Josephine Krzesak’s tears are bitter sweet as her journey with her fellow Gamma Chis come to an end as she gets ready to jump back to Alpha Chi Omega at the Lyle Bennett Outdoor Track and Field Complex in Central Michigan University on Sept. 21, 2018. Kerry said before the experience, she didn’t think she would get as close to her fellow Gamma Chis. Similar to other organizations and their executive boards, those who have experienced being a Gamma Chi before have the option of returning for the experience again. Kayla Garza was the Executive Vice President of the Panhellenic Council. This was her second year with the position. 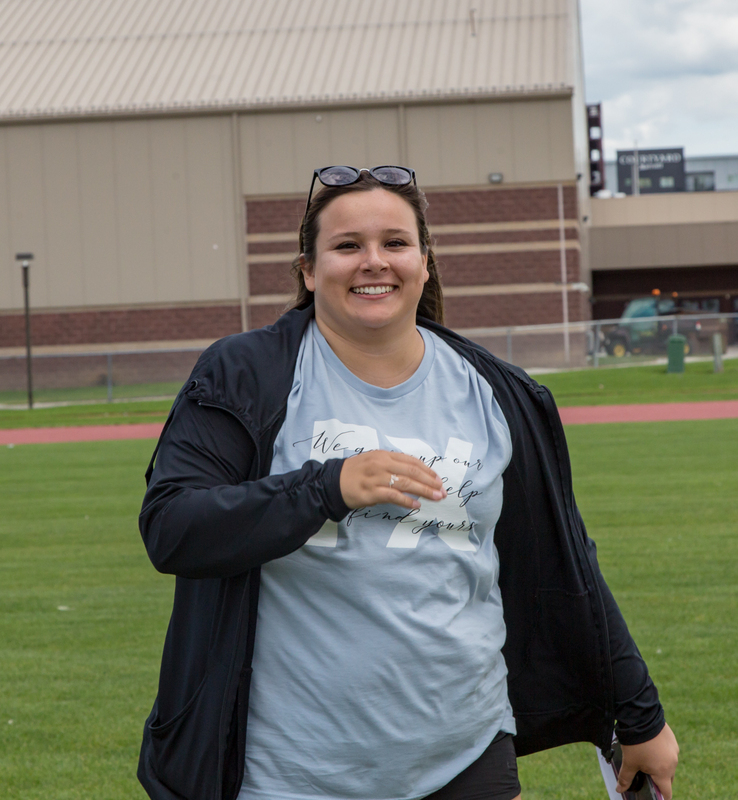 Senior Kayla Garza arrives at the track to join her fellow Gamma Chis on final preparation to lead their potential new members to jump into their chapters at the Lyle Bennett Outdoor Track and Field Complex in Central Michigan University on Sept. 21, 2018. She said experiencing this position again is rewarding because it teaches the Gamma Chi to take a step back and to help the community grow. Senior Ariel Cunningham (right) hugs senior Danielle Dittman as their positions as Gamma Chis come to an end. 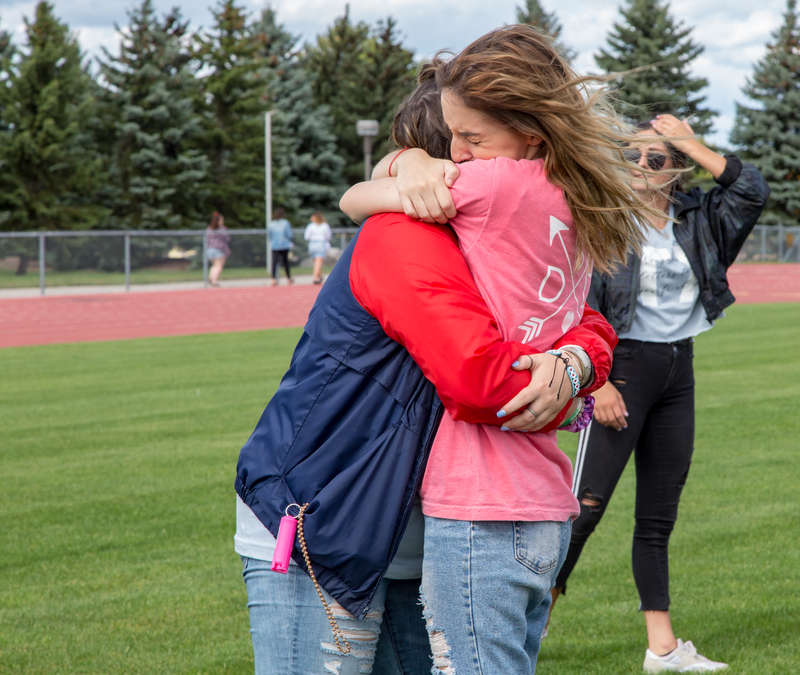 Both of them jumped back to Phi Mu at the end of the event at the Lyle Bennett Outdoor Track and Field Complex in Central Michigan University on Sept. 21, 2018. Garza said as a returner, something she wished she knew about during her first year was relying on her fellow Gamma Chis. Garza said for women interested in this position, if you’re willing to get out of your comfort zone, this is definitely the opportunity for it. “Also, be willing to give up your letters. You have to step back and let your chapter be fine without you. Also, really dive in to the Gamma Chi experience, go to every workshop possible because there’s always something else you’ll learn, it doesn’t matter how long you’ve been a Gamma Chi,” Garza said. 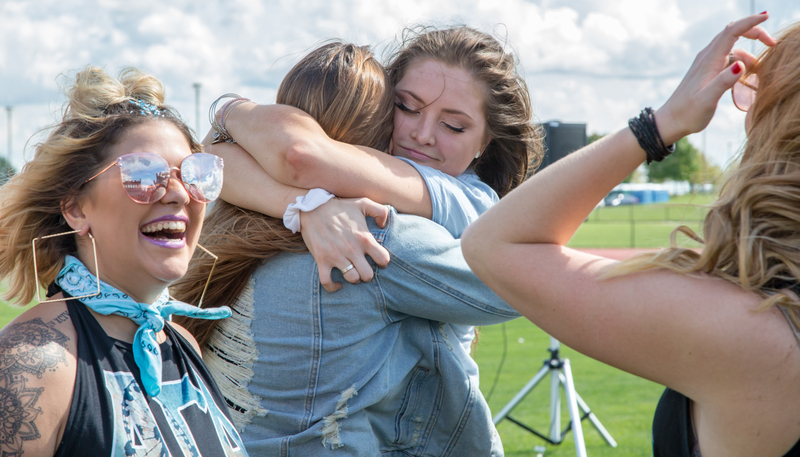 Senior Shelby Mackie hugs her sisters as she jumps back to Alpha Gamma Delta at during the end of Bid Day at the Lyle Bennett Outdoor Track and Field Complex in Central Michigan University on Sept. 21, 2018. Gamma Chis recently jumped home after Bid Day. New Gamma Chis will be chosen at the end of this semester. They train throughout the Spring semester and daily during the fall. 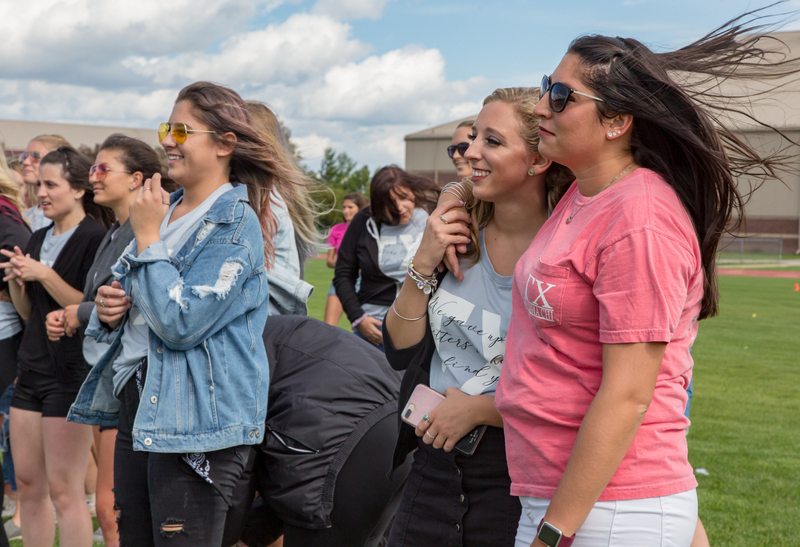 Separator image Posted in Campus Life, College Living, Features, Greek Life, Student Lifestyle, Students, Students and tagged with Bid Day, Gamma Chi, greek life, Panhellenic Council, recruitment, Sorority Life, Xavier Mendoza.